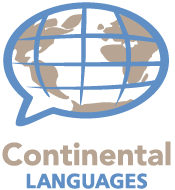 Continental Languages, LLC, would like the opportunity to invite you to apply to work as an independent contractor with our company. Whether your specialty is interpretation, translation, or both, we are always searching for language professionals to join our team of linguists. It is our team’s diversity in education, certifications, languages, dialects, and experience that has assisted us in building a viable and reputable company with a large and satisfied customer base that is ever growing. Please submit your CV below. Upon review, we will contact you regarding the next step in joining our team.